Don’t miss one of the most exciting events in southern Oklahoma each year with the only online auction in Ada, plus wonderful food, live auction and music. 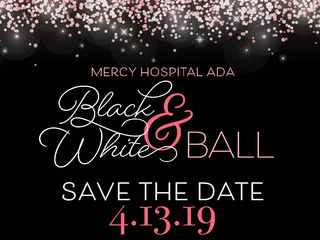 All proceeds benefit the purchase of a new 3D mammography machine for Mercy Hospital Ada which will save more lives through enhanced mammography capabilities. Call 580-421-1403 or email [email protected].